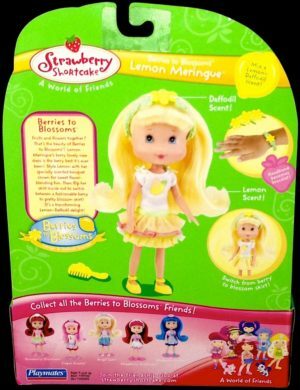 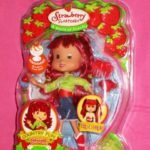 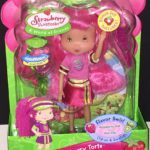 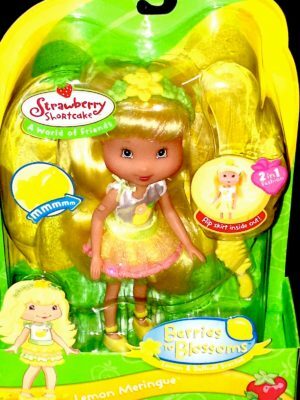 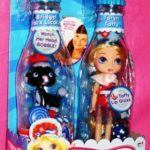 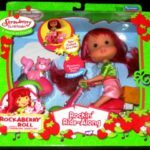 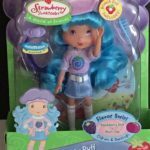 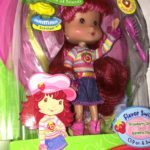 Strawberry Shortcake Friend Lemon Meringue Berries to Blossoms doll with sweet scent and accessories. 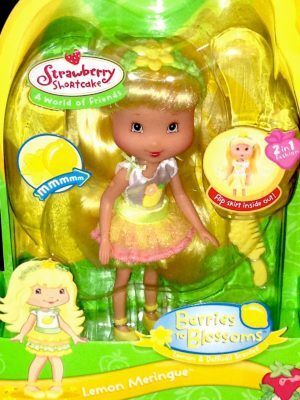 This Lemon Meringue 2 in 1 fashion doll from Playmates comes dressed in a fancy yellow, pink, and white dress that has a large lemony and flower decoration in the front. 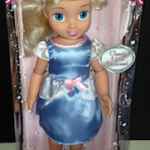 Flip her skirt to create a new stylish look. She wears yellow shoes and a large green hairband adorned with a yellow flower. 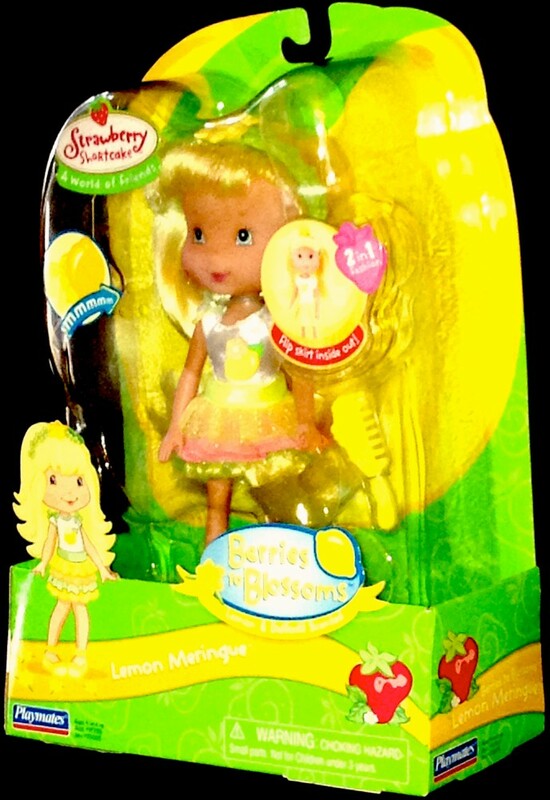 Her delicious scent is that of lemon and daffodil. Lemon Meringue comes with yellow accessories that complement her beautiful golden yellow hair. 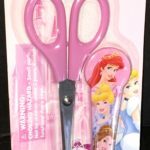 Also included is a yellow lemon colored comb to keep her hair locks looking their best. 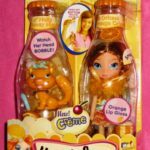 This Lemon Meringue doll is from the American Greetings Strawberry Shortcake A World of Friends collection and is one of five dolls in this vintage year 2006 set. 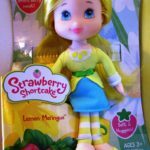 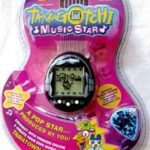 Age recommendation for this Shortcake doll is 4 years and over.